Below is a change management template you may use to inform your users about a migration. On [Date/Time], we’ll start migrating your [Old.com] accounts to new accounts under the [New.com] Google Apps account. We’re using ShuttleCloud, a cloud migration company to accomplish the email migration which will we start on [Date/Time]. It’s important to keep using your [Old.com] account until you hear otherwise from us. We will let you know the switchover date, which will be the day that you cease using [Old.com] accounts and begin using [New.com] accounts exclusively. We’ll provide you with login credentials and next steps in an email to your [Old.com] account so please be on the lookout for that message. 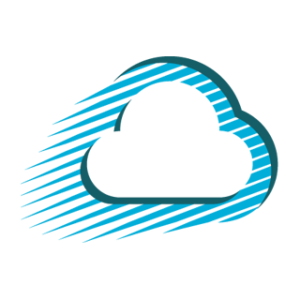 ShuttleCloud will migrate your messages along with labels and read/unread message status. In order for all of your labels to transfer over please make sure they are visible in IMAP before we begin the migration on [Date/Time]. To enable your labels’ settings so that they’re viewable in IMAP please review this process. ShuttleCloud will also migrate your Google chat logs as part of the migration but first you must complete the following steps to prepare your account prior to the migration on [Date/Time]. See here. Filters/rules – If you use filters/rules in your old accounts you may want to manually export them prior to the switchover. More information on this process can be found here. Forwarding & Fetching & Send-as – These will not be migrated and should be added manually to the new domain accounts if you’d like to retain that Send From: The ability to send-as another account will not migrate, but you can re-add this to your new account easily by going here. Star Colors – Multiple star colors is a Gmail labs feature and we can’t preserve the colors while migrating. ShuttleCloud only transfers the standard star color. We recommend an alternative solution if you need to preserve star colors. Just go here.